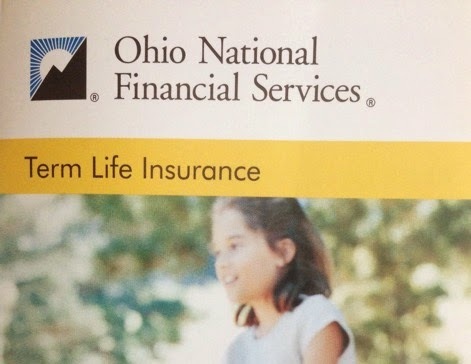 As I mentioned in a previous post, I’m buying term life insurance from Ohio National. Ohio National sells two types of tem life policies: a regular or basic term policy and a Term Plus policy. What’s the difference between the basic policy and the Plus policy? The conversion right. Conversion means converting the term life policy to a permanent life insurance policy offered by the same company, at the same health rating without another health exam. Converting doesn’t mean that your term policy will just turn into a permanent policy at the same low premium for the term policy. You still have to pay the higher premium for the permanent policy. It’s just you can lock in your health rating. You must have heard that a term policy is usually better than a permanent policy. That’s why I’m buying a term policy to begin with. Why would I ever want to convert it to a permanent policy? Suppose I develop some illness, such as cancer, that shortens my life expectancy but doesn’t kill me before the level-premium term ends. By converting the term policy to a permanent policy, I would then get a good deal from the insurance company. I would pay the rate for a healthy person when I have a shortened life expectancy. If the insurance company is giving you the right to convert, which has value, you bet they are not giving it to you for free. If your term life insurance policy comes with conversion right, the price is built into the premium. During the first ___ policy years, but not after the policy anniversary nearest the insured’s 70th birthday, the company will make a permanent plan of insurance to which you may convert all or part of this policy without proof of insurability or medical evidence. Note it says “a permanent plan of insurance.” It’s possible that this permanent policy is a special policy just for conversion, with a much higher premium than other permanent policies because the company knows that people who choose to convert tend to have poor health. If that’s the case then this conversion option isn’t worth much because you are paying the price set for the less healthy when you are less healthy, unless you know you are even less healthy than the average less healthy. During the first ___ policy years, but not after the policy anniversary nearest the insured’s 70th birthday, you may convert all or part of this policy to any Universal Life, Variable Universal Life or Whole Life insurance then offered by the company without proof of insurability or medical evidence. Now you are on equal footing with other new customers buying permanent life insurance from the company. If you have poor health and you are paying the price set for a healthy person, you are getting a better deal. What’s the price for the enhanced conversion option? About 5% extra in annual premium for the coverage amount I want. Will I develop something that shortens my life expectancy but doesn’t kill me within the term period, serious enough to make buying permanent life insurance worthwhile? I don’t know. Is the chance of such outcome and the economic benefit I derive from it worth the 5% extra premium? I have no idea either. Not knowing any better, I would assume the insurance company knows and they price it accordingly, if they don’t over-price it. There’s no way I can beat them. I asked my agent. She didn’t push it. She only said I should consider it if I ever want a permanent policy, otherwise I can just go with the basic policy. Other than betting/insuring that I will have a shortened life expectancy but I won’t die within X years, I can’t think of any reason that I will suddenly want permanent life insurance. I decided to get just the basic policy. If I’m picking the term correctly, that’s the period of time I need protection for. If I die soon afterward, it would be unfortunate but my family should be out of the woods by then. Did you care about the conversion options on your term life insurance? Nope! I do not care about the conversion options. I bought my term life insurance 2 years ago from SBLI for a 20 year level-term policy. That means in 18 years, I should have built up enough assets (at least equal to the insurance pay out). I’m a late starter as I just started investing about 2 years ago too, but if I keep doing what I’m doing now, I should be able to build up enough assets in the next 18 years so that I wouldn’t have to need the life insurance anymore then. If you do change your mind about Ohio National, at least you have a good option for permanent insurance. Its term blending options are pretty good or so I’ve heard. In any case, it’s good that you at least considered it. Most people don’t. One thing I keep noticing is peoples’ obsession with dumping their term policy. Most people believe that permanent policies are never recommended by people not earning a commission on them (not true. Actuaries recommend permanent insurance all the time: http://www.glenndaily.com/glenndailyblog27.htm), and that there’s no use for them post-retirement. If you don’t mind my adding something to the conversation, I think one of the most understated benefits to conversion is the accelerated death benefit options for terminal or chronic illness (e.g. long-term care expense coverage). In some of these policies, the acceleration benefit is pretty significant and can reduce or eliminate the need for a dedicated LTC policy (which tend to be pretty expensive) — something that you don’t want to need and not have and yet at the same time something most people don’t want to pay for and end up not needing. Harry, since it sounds like you are mostly to FI (and your wife is fully “retired”), wondering why the need to up your life policy at all? Wouldn’t FI include all the income you’d need to support you and your dependents? I started think about this myself as I am about 5 yrs away from early “retirement” (which includes fully funded college fund for my kids). My wife and I are both about 8 yrs into our 30 yr term policies. Once in full retirement mode, what to do with term policy? Just stop paying because it becomes a drag (about $1500/yr total)? Is there an outlet to sell term policies? (I would guess no). Just wondering what are your thoughts on entering retirement and retaining a term policy when earning income is no longer really an issue. Thanks. There are different levels of FI (financial independence). At the minimum level, you can declare FI when you have enough not to live under a bridge. Or you can live comfortably only if you live in Thailand or Panama. Or you can afford not to work a regular job but you will still need “gigs” to keep you going. At the high end, you can afford anything you want without looking at the price tag, including as you said fully funded college fund for your kids, and maybe fully insured or self-insured for long-term care. I still earn an income. I want my beneficiaries’ level of FI not to be affected by my death. Once I stop earning an income, I don’t need life insurance any more. That’s why I chose a short-term policy this time. There’s no way to sell a term policy unless you are terminally ill.